It's saying my friends have deleted me when they haven't. You're using an old version of the extension that does not have the latest updates. The latest version is 2.0.15. Further down this page you can find instructions on how to check what version you're using and update if necessary. 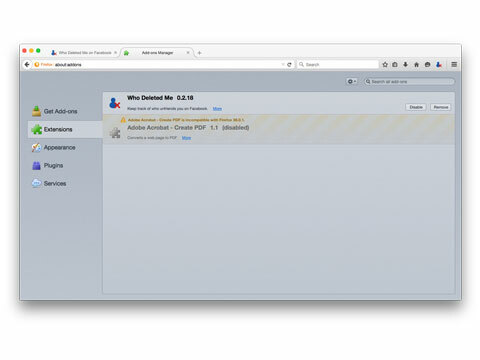 You have the extension open in multiple computers and/or browsers at the same time. We're aware of a bug that happens in this case and are working on a fix. If the above did not help fix this problem please contact us for help. 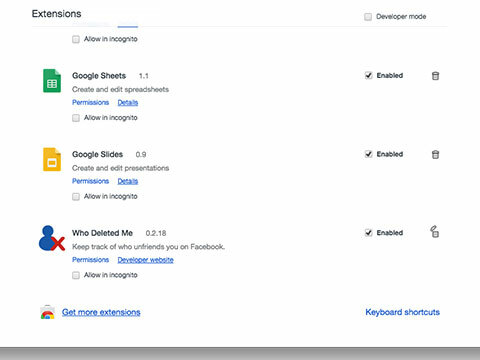 How does 'Who Deleted Me' work? 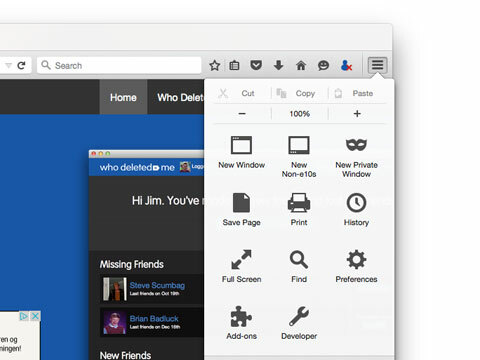 The Who Deleted Me browser extension reads your friend list and stores it on our servers. The first time you visit, we'll save a copy of your friends list. When you come back we can compare your friends list as it is now to how it was before. That allows us to show you who isn't on your friends list anymore, and any new friends you made. Every time you visit we'll show you how many people (if any) are missing from your friends list. You can then click to see more information and find out who they are. The extension also checks your friend list periodically and will notify you if anybody goes missing, so you know to come to Who Deleted Me to see who! What does the 'I Deleted' button do? When you click this, this person gets moved to the 'Who I Deleted' tab. This helps you keep your list organised. Click 'Who I Deleted' to show only people you marked that you deleted. 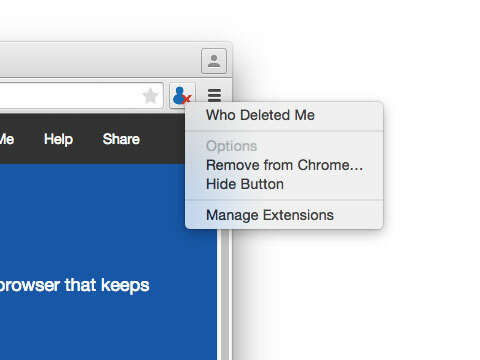 You can click the 'They Deleted' button to move them back to the 'Who Deleted Me' tab. How do I uninstall 'Who Deleted Me'? 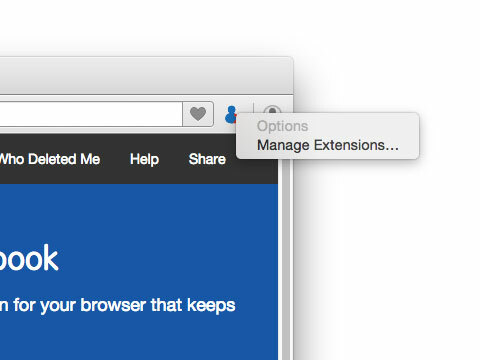 Alternatively, from the Chrome menu, go to More tools > Extensions. Find Who Deleted Me in the list, and click the trash icon next to it to remove it. 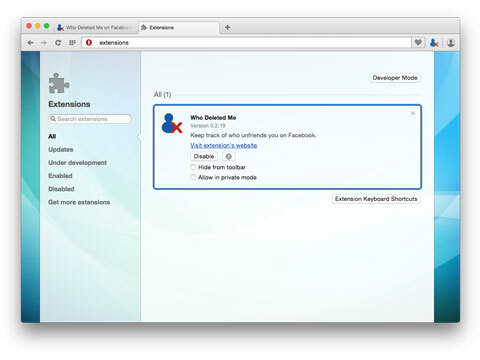 Then click here to logout of Who Deleted Me. From the Firefox menu, click on Add-ons. Click the Remove button next to Who Deleted Me in the list. Click the X button next to Who Deleted Me in the list. If you need assistance, please use our contact form to get in touch.